For the last couple of years, I have been fortunate to be one of the lucky few to taste the first release of each t1 product. The Ultra Fino blanco and the Exceptional reposado in the spring of 2009, followed by the very limited release of the 11 year single barrel extra añejo, and in 2010 the Unique añejo. Since I missed out on this years Blue Agave Tour, I thought that it would be a while before I had the chance to taste German Gonzalez' newest release; the Maduro - a bigger more agave forward blanco, created for the experienced tequila drinker bottled at 43% alcohol. Thanks to my good friend Ray Martinez, not only did he hook me up with a taste of this rockin' blanco, but also found a way to get a me a bottle! Using a Riedel tequila glass, I notice the nose on this crystal clear blanco is fresh, vibrant, and green with slight notes of earth. 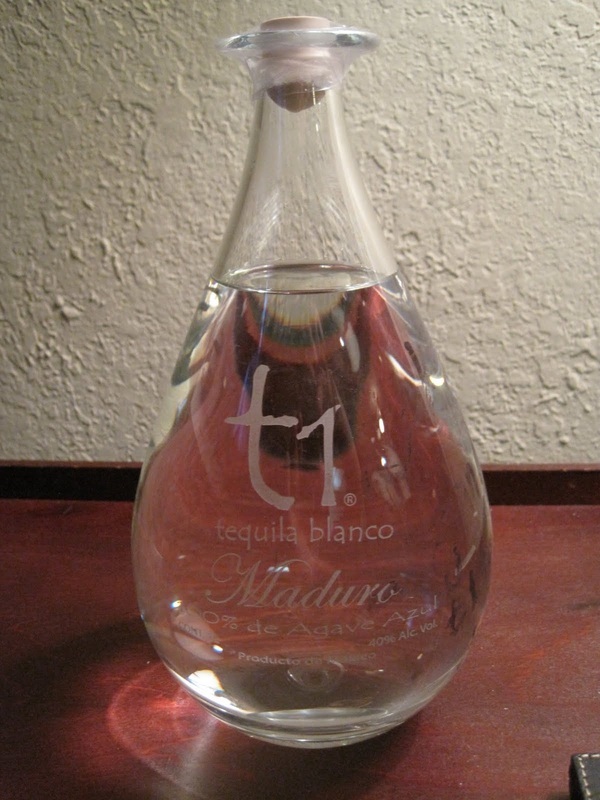 As I bring the tequila to my mouth, I let it touch my lips for several seconds, and notice that it has a really nice buzzing sensation that not only wakes my senses up, but it also lasts for quite a long time. The taste of this tequila has notes of brown sugar, agave, banana, earth, and black pepper that turns to crisp, raw jalapeño peppers the more I drink it. This blanco has a very nice, big, bold, machismo presence that I really dig! The finish is of medium-long duration, that starts peppery with some wonderful tingling sensation on the cheeks that fades to a dry earthy taste. Is this an overly complex tequila that you are going to ponder for hours? Not really, but this t1 Maduro brings it! 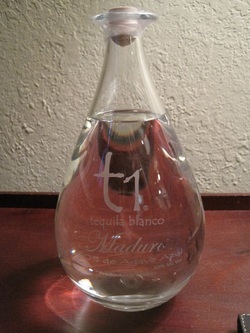 It tastes really good, and it is very lively, which for me, makes it a great rock-n-roll tequila! German - I'd love to taste this as an añejo, aged in a barrel of your choice! This should be hitting the shelves by the end of June 2011, so if you like big & bold tequilas, then you should grab a bottle or 2. I know I will! !